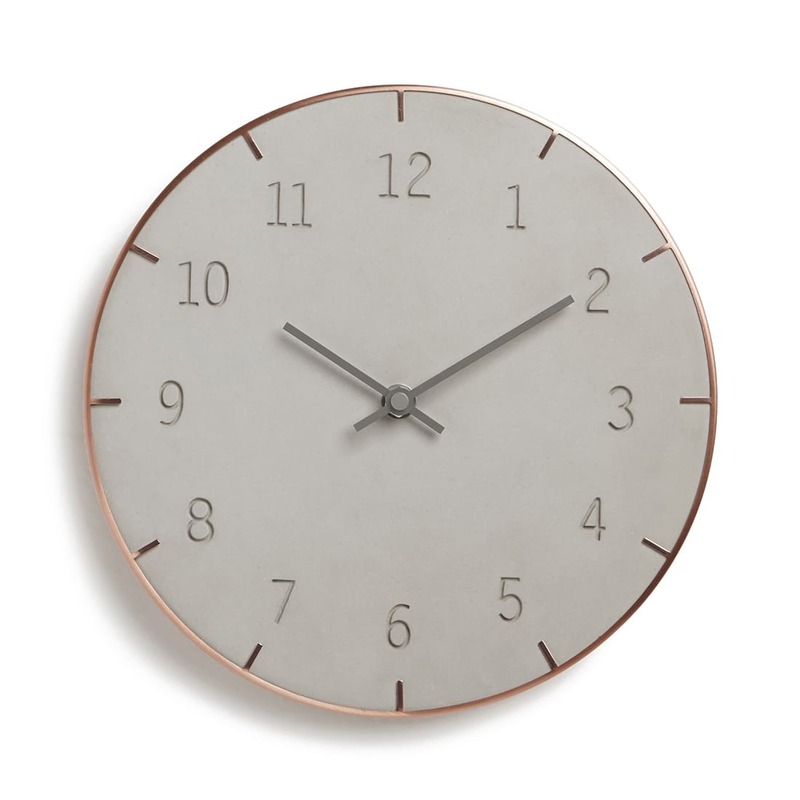 Piatto is an elegant wall clock that combines brushed copper and concrete finish for a semi-industrial look. 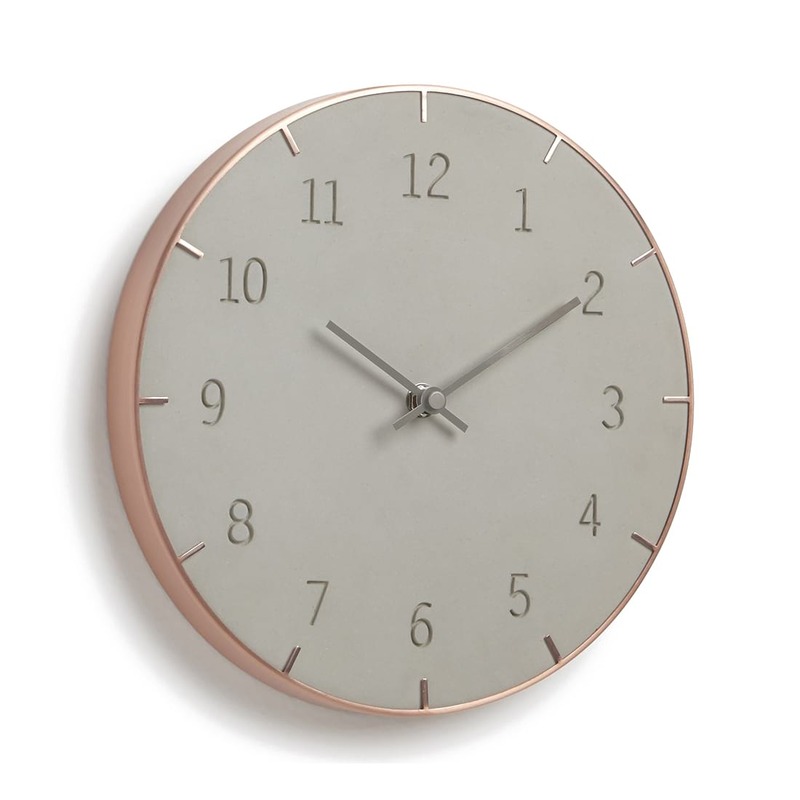 It features engraved numbers and Quartz clock movement with silent, continuous sweep. Dimensions: 25,4 diameter x 3,8 cm (10 x 1 1/2"). 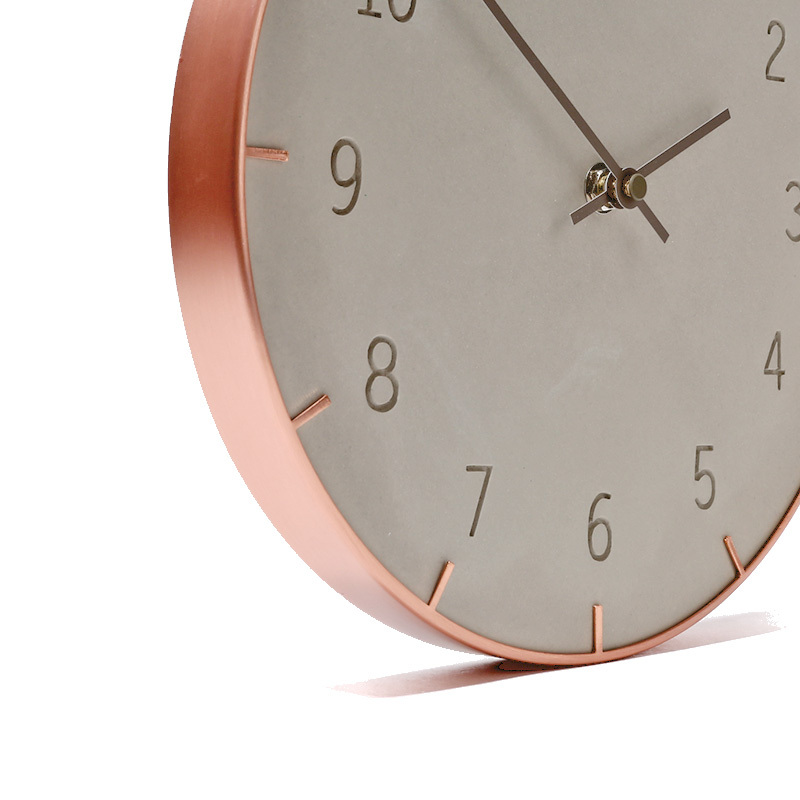 Material: Concrete resin, copper plated metal. 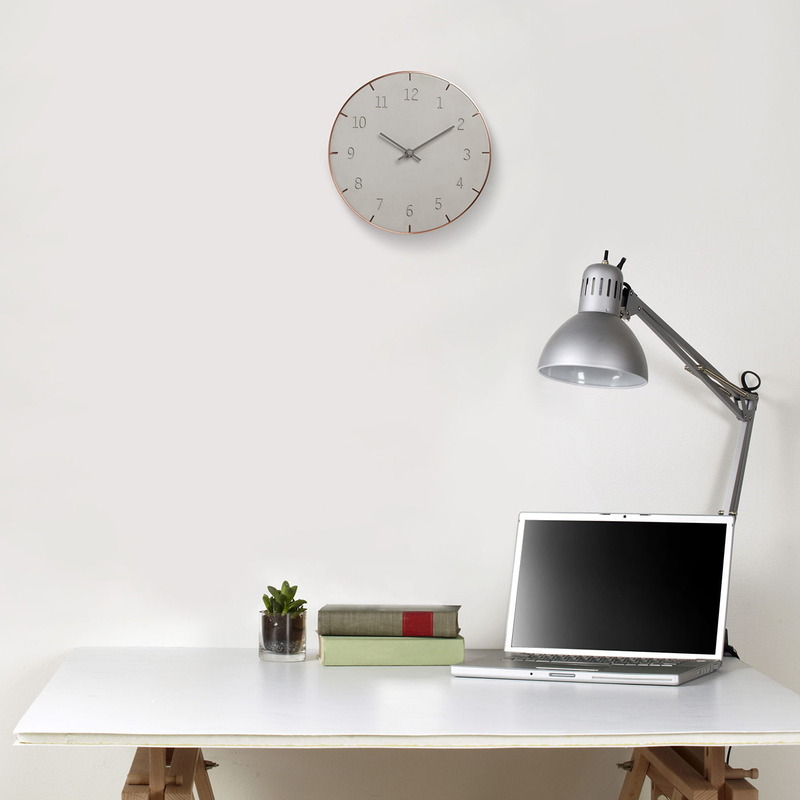 Quartz clock movement - silent and continuous movement.